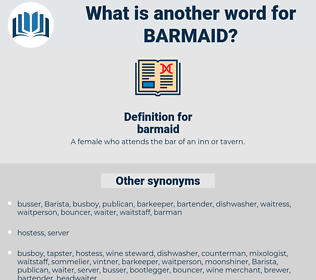 What is another word for barmaid? 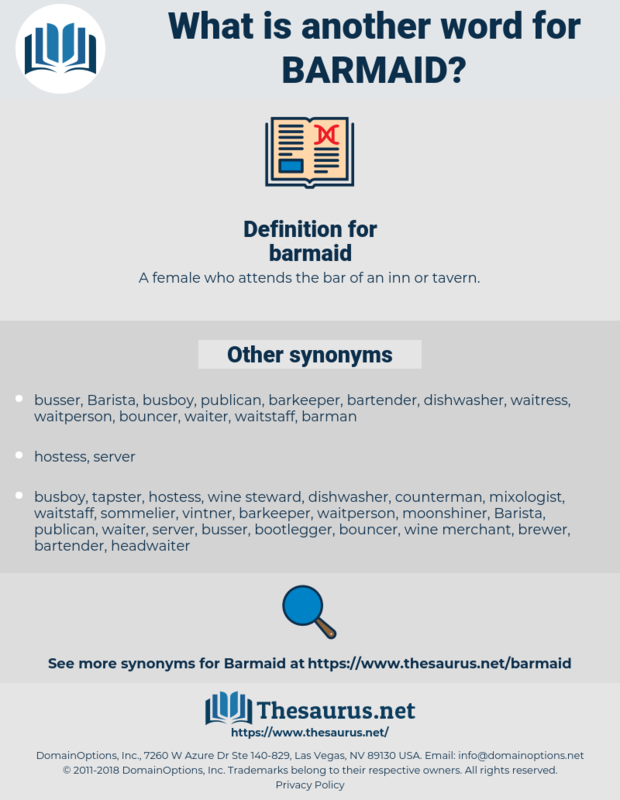 A female who attends the bar of an inn or tavern. He had married Judith, and had deserted her for a barmaid whom in her turn he had abandoned. Mrs. Halliburton went in, leading Janey, and was confronted by the barmaid, a smart young woman in a smart cap. boarhound, baronet, bermuda, burnett, befriend, bromide, brandt, brinded, brominate, branta, brain death, bronte, burnt, brownout, bramidae, browned, brant, burnt-out, barramunda, brunet, burned-out, brand, bob around, brandy, brunt, beer mat, burned, bowfront, boyfriend, bornite, broomweed, beforehand, broom-weed, burn out, bromate, brent, brain dead, branded, bramante, barehanded, brunette, bear in mind, burundi, burhinidae, barramundi. barman, mixologist, bartender, barkeeper, barkeep.